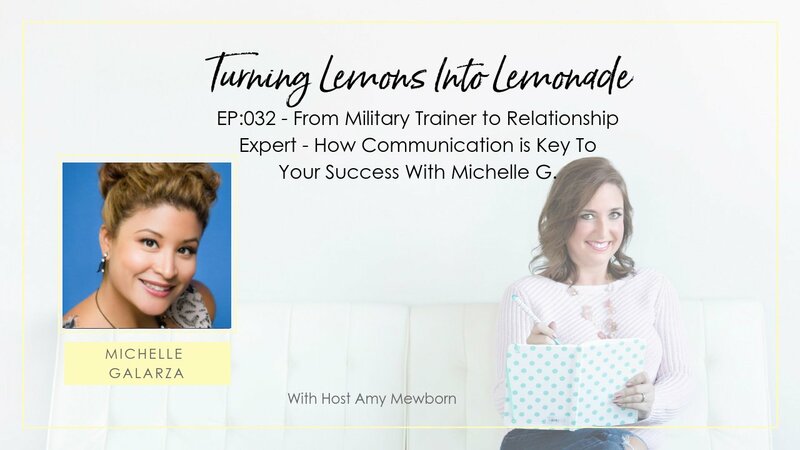 >> From Military Trainer to Relationship Expert – How Communication is Key To Your Success – with Michelle G.
In this episode of Turning Lemons into Lemonade, I interviewed my very dear and long time friend, Michelle G. Michelle is a relationship expert and is up to some VERY big things! She tells the story of spending years in the military – training on intelligence and communication. 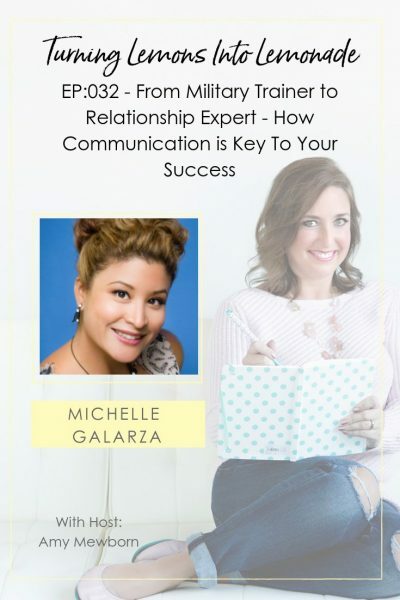 She told the story of how her marriage fell apart in her time in the military – and then how when she transitioned to civilian life, she found that true communication and connection were lacking in many relationships around her! She talked about how she transitioned from military life to launching multiple businesses, then going back to school to truly become an expert in her field. Today Michelle helps singles and couples achieve and maintain healthy relationships. Michelle spoke about how one of her biggest struggles has been in systematizing her business, training her team, and ensuring that the details of her business run systematically and smoothly – without her having to do it all! Michelle is one of the absolute most genuine people I know. If you’ve struggled with finding a team, building a team, focusing on what you do best, and outsourcing the rest – this is a great episode for you!